Fukushima, after eight years: Of the 19 to 25 million tons of contaminated topsoil bagged up across the country, the government has suggested incinerating 11 million tons.. Contaminated soil produced during cleanup in communities affected by the 2011 Fukushima nuclear disaster is carried on belt-conveyers covered with plastic sheets at an interim storage site in Okuma, Fukushima Prefecture, on Oct. 28. OKUMA, Fukushima Prefecture–Hailed by the government as a major step to rebuilding, radioactive soil from the cleanup of municipalities impacted by the 2011 Fukushima nuclear disaster began arriving at an interim storage site here on Oct. 28. However, officials and residents with the towns of Okuma and Futaba fear the repository may end up being permanent as finding a final resting place outside Fukushima Prefecture is expected to be extremely difficult. Still, local governments welcomed the start since rebuilding has been hampered by the countless number of bags containing polluted soil that have been kept in backyards. “We are hoping to remove as many bags of contaminated soil as possible from people’s living spaces,” said Tadahiko Ito, vice environment minister who inspected the site on Oct. 28. All the soil there is supposed to be taken out of the prefecture by March 2045 for final disposal under the law. The repository began operating at the site, where soil from low-level pollution will be kept after being brought in via a belt-conveyor system. Bulldozers will afterward flatten the surface. After a certain amount of soil is brought in, the ground will be covered with uncontaminated soil. The site can hold about 50,000 cubic meters of soil, according to the Environment Ministry, which oversees the project. The ministry began building the interim storage facility about a year ago. As of the end of September, contracts had been signed for about 40 percent of the 1,600 hectares of land needed for storage in Okuma and Futaba, which co-host the crippled Fukushima No. 1 nuclear power plant. A total of seven facilities will be built to keep polluted soil. The ministry also plans to complete two facilities to store more radioactive waste in fiscal 2019. Overall construction costs are estimated at 1.1 trillion yen ($9.67 billion) for all the interim storage facilities. They can store up to 22 million cubic meters of soil and other waste. According to the ministry, about 15.2 million cubic meters of contaminated soil from decontamination work are piled up or buried at about 150,000 location in Fukushima Prefecture, including plots near houses and schoolyards. The ministry envisages moving 12.5 million cubic meters of the total to the interim sites by the end of March 2021. A new facility in the town of Okuma, Fukushima Prefecture, starts storing radioactive waste generated by the 2011 nuclear crisis on Saturday. The government’s new radioactive waste storage facility in Fukushima Prefecture kicked into full gear on Saturday after completing a roughly four-month trial run. 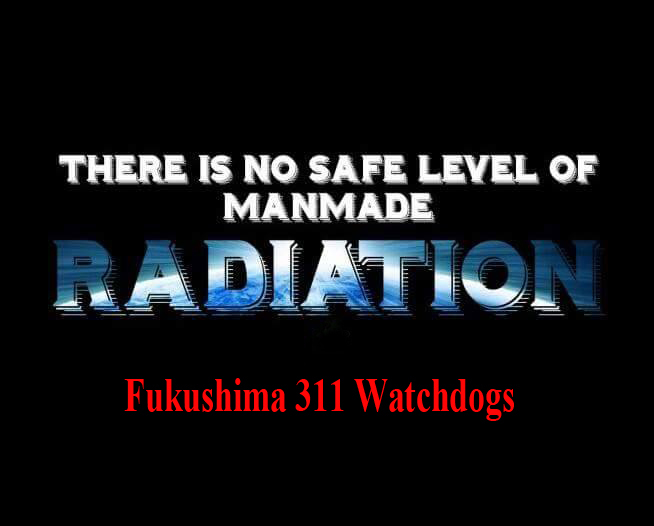 While the facility near the crippled Fukushima No. 1 nuclear complex is designed to store soil and other tainted waste collected during decontamination work for up to 30 years, it remains only half complete six years after the triple core meltdown struck in March 2011. An estimated 22 million cu. meters of contaminated waste exists in Fukushima, but the facility does not yet have enough capacity to store it all, and residents fear it will sit there permanently in the absence of a final disposal site. The government has been able to buy only 40 percent of the land so far but eventually plans to secure 1,600 hectares for the facility, which is expected to generate ¥1.6 trillion ($14.1 billion) in construction and related costs. The storage facility is urgently needed to consolidate the 13 million cu. meters of radioactive waste scattered around the prefecture. The prolonged disposal work, among other concerns, is said to be keeping residents away from their hometowns even when the evacuation orders are lifted. Also on Saturday, the government began full operation of a facility where waste intended for incineration, such as trees and plants, is separated from the rest. Contaminated soil is sorted into different categories depending on cesium level before storage. Tainted soil is brought into an interim storage facility for radioactive waste in Fukushima Prefecture on Saturday. FUKUSHIMA (Jiji Press) — The Environment Ministry started Saturday bringing tainted soil to one of its interim storage facilities for radioactive waste in Fukushima Prefecture. Soil generated from work to decontaminate areas hit by fallout from the March 2011 triple meltdown at Tokyo Electric Power Co. Holdings Inc.’s disaster-damaged Fukushima No. 1 nuclear plant has temporarily been piled up in about 1,100 places within the prefecture. Shifting the soil and other radioactive waste to the storage facilities, to be finally built on a 1,600-hectare site straddling the towns of Okuma and Futaba, is expected to make it smoother to reconstruct areas devastated by the nuclear accident as well as the massive earthquake and tsunami that triggered the accident. On Sunday, 36 cubic meters of contaminated soil arrived at the facility from a temporary storage in Okuma. “I hope all tainted soil and other waste will be removed from living spheres in the prefecture as soon as possible,” State Environment Minister Tadahiko Ito told reporters after watching the work. But over 60 percent of the overall construction site remained to be acquired as of the end of September, and facilities to burn plant waste and store ashes with high cesium levels have yet to be built. How long shall we accept Japan to pollute our skies with incineration of radioactive materials? Thus “storage facility” is a misnomer, as it is actually a processing facility before to be a storage facility. From 2011 to 2014, decontaminated soil and debris were incinerated all over Japan. Informations about the quantity incinerated nationwide during those years in various locations are hard to get. As of today incineration is still ongoing in Eastern Japan, but we do no know if it is still ongoing or not in other parts of Japan as somehow nothing is being published about it. Incineration is never a solution for radiation contaminated waste, it reduces the volume of the contaminated waste but at the same time redistributes its contained radionuclides into the nearby environment, thus endangering the health of the people living there. However, this article from September 2014 gives a list of the incineratition locations and of the disposal companies involved, among those Japan Environmental Safety Corporation (JESCO) was the most prominent, as JESCO was the company already handling most of the PCB waste disposal. Japan is turning to a small German company to generate power from timber irradiated by the 2011 Fukushima No. 1 nuclear meltdowns. Closely held Entrade Energiesysteme AG will sell electricity from 400 of its container-size biomass-to-power machines set up in Fukushima Prefecture, said Julien Uhlig, the Duesseldorf-based company’s chief executive officer. The devices will generate 20 megawatts of power by next year and function like a “biological battery” that kicks in when the sun descends on the region’s solar panels, he said. Selling green power with Entrade’s mobile units could support Japanese attempts to repopulate a region that’s struggled to restore a degree of normalcy after the March 2011 earthquake and tsunami killed 18,000 people while also triggering the Fukushima nuclear meltdowns that displaced 160,000 others. The prefecture aims to generaJapan is turning to a small German company to generate power from timber irradiated by the 2011 Fukushima No. 1 nuclear meltdowns. Closely held Entrade Energiesysteme AG will sell electricity from 400 of its container-size biomass-tote 100 percent of its power from renewable energy by 2040. Entrade’s so-called E4 plants, four of which fit inside a 40-foot (12-meter) container, can reduce the mass of lightly radioactive wood waste by 99.5 percent, according to Uhlig. Shrinking the volume of waste could help Japanese authorities who need to reduce the volume of contaminated materials. Workers around Fukushima have been cleaning by scraping up soil, moss and leaves from contaminated surfaces and sealing them in containers. The decommissioning of Tokyo Electric Power Company Holdings Inc.’s stricken plant is set to take as long as four decades and the government estimates environmental cleanup costs may balloon to ¥3.3 trillion through March 2018. Prime Minister Shinzo Abe said in March that Japan cannot forgo nuclear power. His government wants about a fifth of Japan’s power generated by nuclear by 2030, compared with almost 30 percent before three of the six reactors melted down at the aged Fukushima No. 1 plant. Currently, just two of the nation’s 42 operable commercial reactors are running, which has translated into higher costs for imported fossil fuels as well as more greenhouse gas emissions. Germany’s Federal Office for Radiation Protection declined comment on the process of burning radioactive waste in Fukushima. Entrade’s biomass units will be located about 50 km (31 miles) from the Tepco reactors, said Uhlig. Entrade’s biomass plants, which rely partly on technology developed by Germany’s Fraunhofer Institute, are “compactors” of lightly irradiated waste, said Uhlig. The “all in the box” technology is attractive to environmentally conscious clients who have a steady stream of bio waste but don’t want to invest in a plant, he said. Uhlig’s company is cooperating with London’s Gatwick Airport to turn food waste from airlines into power. Royal Bank of Scotland financed another project supplying power from 200 units to an industrial estate near Liverpool, in northwest England. Japan to burn irradiated wood to create electricity, releasing gases to the environment AGAIN! Safe disposal? A lone tree inside exclusion zone, close to the devastated Fukushima Daiichi Nuclear plant in February 2016. The radioactive waste generated by the TEPCO Fukushima Daiichi nuclear power plant accident will be disposed in accordance to the contaminated waste standard disposal methods of the country. All to be incinerated in the Miyagi Prefecture existing waste treatment facilities. A prefecture in northeastern Japan plans to start burning low-level radioactive waste materials from the 2011 Fukushima Daiichi nuclear accident. Miyagi prefectural officials say they will ask municipalities to burn pasture grass and other waste with levels of radioactivity lower than the government-set level of 8,000 becquerels per kilogram. They plan to use incinerators across the prefecture on a test basis starting from January. They say such waste will be mixed with regular garbage in order to keep radioactivity levels low. The officials plan to collect and analyze data on radioactivity levels of ash for 6 months. They say a full incineration operation will follow, once safety is confirmed.